Poodle socks are not all the same! Antonio Pacelli has been making Irish dancing socks, or poodle socks for many, many years now and we like to think we know how to make a great Irish dancing sock. Even though Antonio Pacelli socks are the most popular poodle sock brand in the world, we still like to take stock occasionally and compare our offer to competitors in the market to make sure we stay one step ahead. Normally we do this behind closed doors but this time we thought we would share our findings with you. 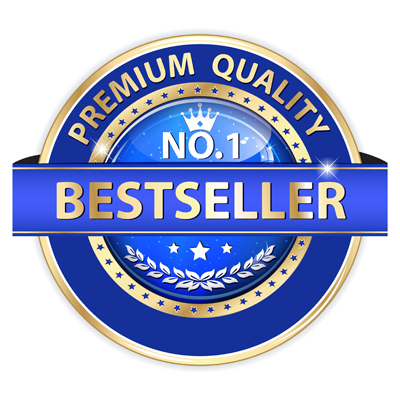 After a review of the other brands on the market (W.Bewin, Resistance Fitness/PEX, Celtic Creations, Innis Free and Katie Luck) we are pleased to announce that we are confident that our poodle sock is still the best out there. Not just in terms of whiteness and softness, but also in terms of washability and of course price. A big claim but can we back it up? Let's look at the important elements of a sock and see! This is probably the most important quality of a poodle sock. No dancer (or their parents) spends hundreds if not thousands on a new dress to go on stage with off white or grey socks! In addition, a truly white sock compliments a dancer's tan and also makes them appear polished and professional (and ready to win a top place!). Every sock we purchased looked incredibly white online so we were surprised when we received our orders in the post that most didn't match the picture on the website (Amazon, Ebay or company website) we ordered from. We take photos of our products all the time, so we understand there is an element of photo editing involved for every photograph, no matter how good you are at taking the perfect image. There may be issues with lighting, shadow, a speck of dust needs removing, or you forgot to remove a label. All these issues can be easily resolved using photo editing software. Here at Antonio Pacelli, we try to stay true to the product and not over edit the image because we believe it is important that you, the customer, are confident that you are buying a product from our website which is truly represented by the image online. So below is an image of all the socks we purchased, and you will see the difference in tone. We have tried to ensure the photography accurately reflects the real colour of the sock so you can make a fair comparison. We have placed the non-pure white socks to the left and the purest white socks to the right. So now you can judge for yourself which sock is the whitest! We feel it is important to keep on top of the latest trends to ensure we design the sock that dancers really want. The style of poodle socks has evolved over the last few years from knee-length socks being all the rage, to the Ankle length and now Ultra low length socks. The Ultralow sock is extremely popular at present as dancers want to accentuate their legs and show off their lower leg muscles. So we are delighted that our Antonio Pacelli Ultra low sock is bang on trend and is the shortest sock on the market at 10 ribs high. The Katie Luck is the only other sock which matches our Ultra low in length however it consists of 14 ribs as the bobbles are quite small and tight. Socks are part of every dancer's kit bag, with most dancers buying several pairs a year. 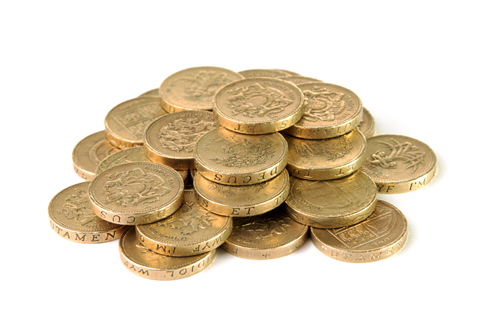 So at Antonio Pacelli we try and keep the price of our sock range as competitive as possible. Most Irish dance socks are made primarily from Cotton (usually with a mix of another material to provide elasticity) apart from the Katie Luck sock which is made of a polyester mix. The expert view is that a good quality cotton is generally considered softer to the touch than polyester, however not all cotton is the same! 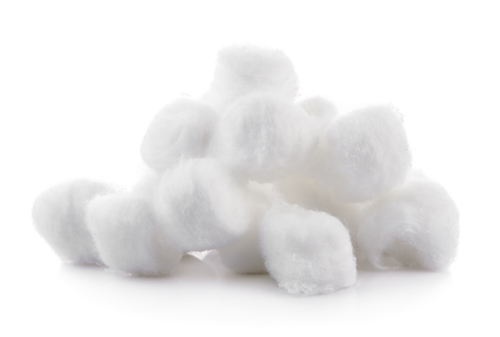 Combed cotton is created using a combing process which separates 80% of the more desirable (longer, thinner more even) fibres from the less desirable (shorter, coarser, less consistent) fibres. Combed cotton is superior in quality compared to carded cotton as it is finer, stronger, smoother and more uniform. However, the additional processing means that combed cotton is more expensive than carded cotton. Combed cotton is the only cotton we will use in our socks! Carded cotton is not combed and has shorter, courser and less consistent fibres. It is also heavier, fuzzier and less uniform in appearance. This makes the cotton more likely to bag in areas of stress. Carded cotton is approximately 10% cheaper to manufacture than combed cotton. How a sock is dyed also affects the final quality and feel of a sock. Piece dyed socks ensure the whiteness and softness. Pre-dyed cotton is cheaper but gives the cotton a harsher feel and a greyer look. 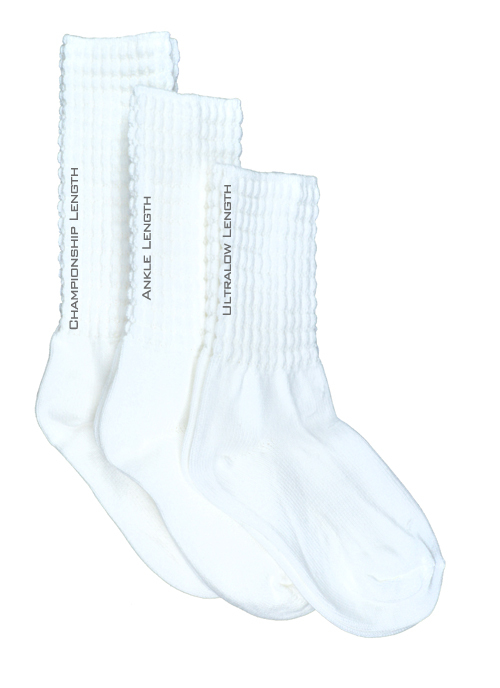 All Antonio Pacelli socks are piece dyed so we can ensure they are truly white! The type of cotton used also plays a big factor. Anyone who has investigated expensive bed sheets knows that the most expensive versions are usually made from Egyptian cotton. Egypt's climate produces the right conditions to grow the ELS (Extra Long Stable) cotton used in luxury products around the world. True Egyptian cotton produces a long fibre that aids in the production of a soft thread, which is the building block of a soft, fine and durable product. Guess what, this is the cotton we use in our socks. Yes, only Eqyptian cotton for Pacelli socks! Here is the material information on the other socks we purchased. So in conclusion, we feel we are definitely on the right track with our poodle socks. We use combed Egyptian cotton which is piece dyed for the softest, whitest finish. From what we can see, we are the only poodle sock maker going to this extra expense and effort. We managed to do this and still offer a poodle sock which is a third of the price of the most expensive option! In addition, we offer a range of styles to suit different dancers, so whether you prefer Ultra-low, Ankle or Championship length we have a sock for you. We also offer the same range with an extra touch of sparkle, either with our sparkle or diamante socks. So the next time you are at a vendor table why not compare the whiteness and softness of the socks on offer. We are confident the nicest sock will be a Pacelli sock!